Hear ye, hear ye! It’s that time of year! With the holidays approaching, its time to get your tickets for the annual Marcus Choir Madrigal Dinner! Click the link below to get your order form and get your tickets before they sell out! You don’t want to miss one of our student’s favorite events of the year. This past week we had 32 students compete in the second round of the Texas All-State process. 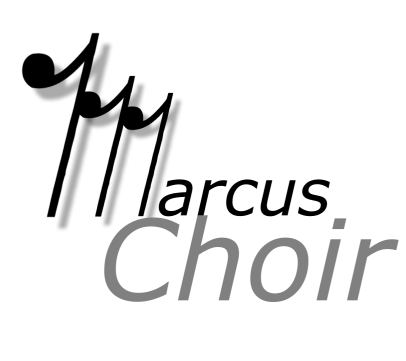 We are pleased to announce that this year Marcus has 31 members of the TMEA Region 2 Honor Choirs. This is a huge accomplishment in our highly competitive region. Please congratulate all these students on their success and hard work over the past few months to reach this achievement. We are so happy to share that Fusion placed 3rd in the International Competition for High School A cappella National Finals this past weekend in New York City! This competition had the top 9 groups out of over 200 that began the tournament across the US back in January. Fusion performed Friday night at Alice Tully Hall at Lincoln Center, which is a part of The Juilliard School. The ladies were true professionals and gave their best performance to date when it counted, earning a standing ovation from their fellow competitors up in the balcony. Because they placed in the top three, Fusion had the opportunity to perform at the iconic Beacon Theatre on Broadway and open the College Finals Saturday night. Click here for information about the 3rd Annual North Texas A cappella Festival. On Saturday, March 24th, Fusion clenched its spot for their 2nd ICHSA Finals appearance in the past 4 years. After winning their Quarterfinal, along with Outstanding Choreography and Outstanding Soloist Awards, Fusion was one of 9 high school groups from across Texas, Arizona, and Colorado to compete in the Southwest Semi-final held at Marcus. The International Competition for High School A cappella (ICHSA) is the largest competition of its kind, starting with over 300 groups from all across the country, and culminating in the National Finals in New York City. This year the Finals will be held at Alice Tully Hall at the famous Lincoln Center, home to The Metropolitan Opera and The Julliard School. Fusion garnered a 1st place rating from all but one of the judges at the Semi-final round, as well as Outstanding Choreography and Outstanding Soloist again. Wish them luck as they prepare for the Finals on April 20th!